Saturday 1st November…..soaring season over?………Nah! 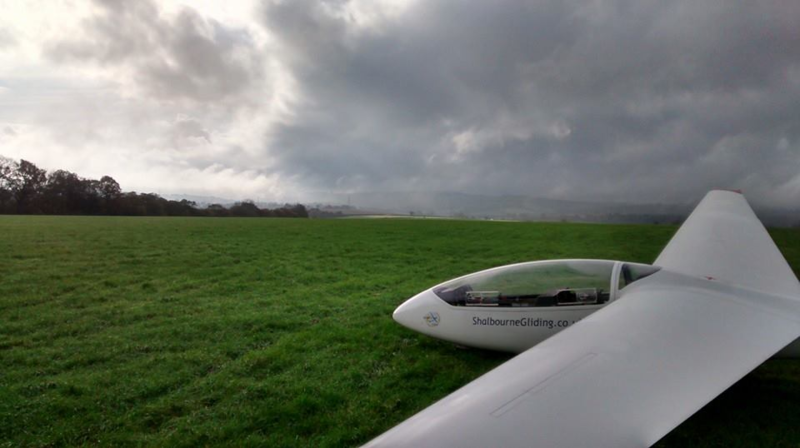 Home » Flying Reports » Saturday 1st November…..soaring season over?………Nah! Someone forgot to tell the weather that it was November and therefore there shouldn’t be any thermals around apart from the warm clothing type! Needless to say the Janus was duly rigged and launched into a sort of promising sky. Cloudbase was 1700ft and there were patches of broken lift which kept us aloft for around 20 minutes before a prolonged area of sink brought us back down again. A while later the air mass had changed for the better and after releasing at 1600ft we sped to a likely looking cloud street over Fosbury and was rewarded with good lift which took us to cloudbase at around 3200ft. By running up and down the street we stayed airborne for around 1hr 20 mins during which time we encountered areas of good lift and strong sink (-8 knots in places! ).